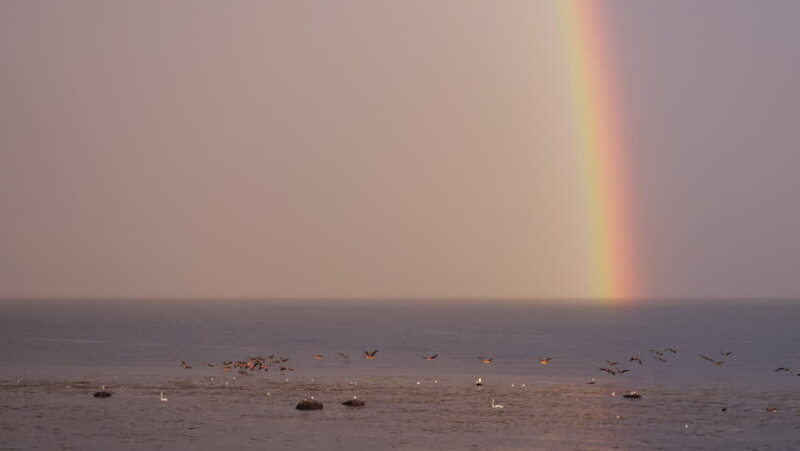 Beautiful rainbow with landing Canada geese. Location: Osterlen, southern Sweden. hd00:21A time lapse video of pinky-orange sunset at sea side with dry grass swaying in the front view.